The Mac app now mimics the overall design of its mobile sibling, for instance adopting similar icons and interactions. It likewise supports inline playback of videos and animated GIFs. 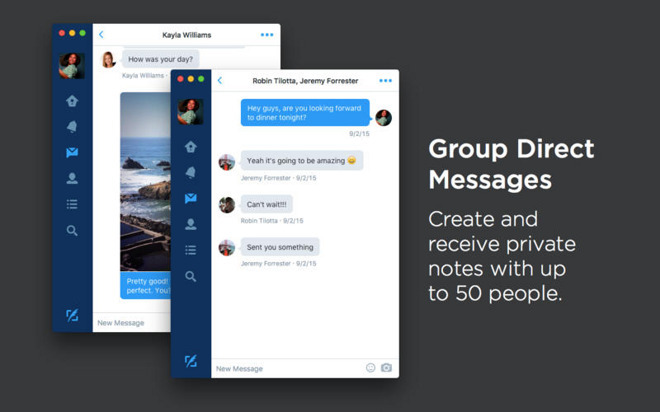 Users can also send direct messages to groups of up to 50 people, and mute accounts without having to unfollow them. When retweeting, users can quote the original post in order to insert personal commentary. Some other additions include a Notification Center widget, and a dark theme to minimize eye strain. 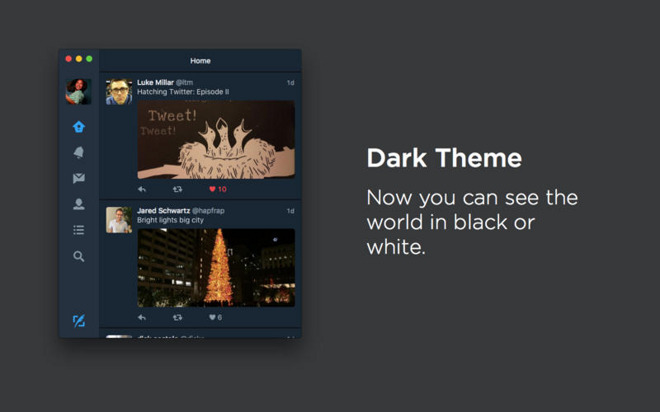 Twitter for Mac is a free download, and runs on any Mac with OS X 10.10 or later. The company recently hired a new VP of Diversity & Inclusion, Jeff Siminoff, luring him away from Apple. Twitter has had a hard time with its perceived diversity in 2015, and even let go of its one non-white employee at a senior level.